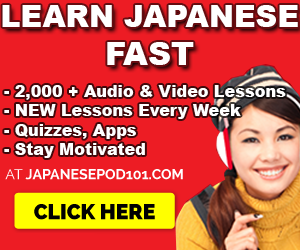 December 16, 2014 by The Junkie 2 comments on "What Will Take You From Language Beginner to Advanced?" So here… I am, lifting, breathing hard, pushing and sweating. Man, this stuff isn’t easy… But I’m definitely getting better, I think to myself. Actually, this is a story about me at the gym. We’ll tie it into language learning in a bit! I’ve been at it for a good year or two. Results are definitely there. But not on a super-cut, fitness model level or roman-god body building level. You could call me a gym intermediate. Better than good. Decent. But not amazing. 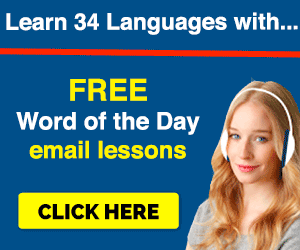 Does this resonate with your language learning progress at all? You’re decent. You can read, write, and speak somewhat well… but you feel like you’re a so-so intermediate. “Good” but not quite there. If I’m ALREADY putting time into this, why NOT be amazing? I wonder this to myself. And why am I not there? And similarly, why is your language not quite there? My brain asks: What do you all day long? That should tell you what you’re getting better at. I respond: Well, I have school, homework, then there’s my job. About 10 hours total. Then of course, sleeping, eating, commuting and such. My brain: So you spend 10 hours a day, consistently, on work and schoolwork. 5 days a week. My brain: And you give your gym about 1 hour, if not less, a day… for 5 days a week. Me: Uh oh, I see where you’re going. Me: I guess the 10 hours of work and school are most dominant. My brain: And you want to reach superstar level? You do realize that the people you look up to spend 4 to 5 hours training. Four times the amount you put in. It’s practically their job. So, I’m putting in time. Enough to see so-so results. Kind of like I can spend 10 minutes learning Polish greetings. It’s not hard. Any coconut can do it. But it definitely won’t make me good. 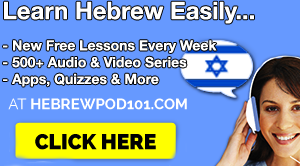 So, what will take you from a language Beginner to an Advanced level? $50 for a new textbook? $1000 for a new course? A New Year’s resolution that would finally change everything? People try that every year and fail. Those don’t come even close to the real power of consistent time and effort. For extra, serious progress, you and I need to put in more time and effort. 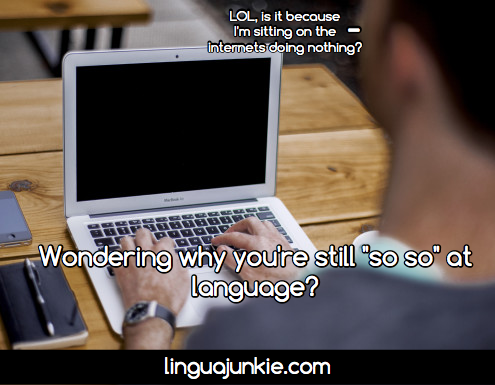 Luckily for you, language learning isn’t as fickle as the body and the maintenance it requires. However, the principle remains the same. Consistent time and effort, baby. You need more. 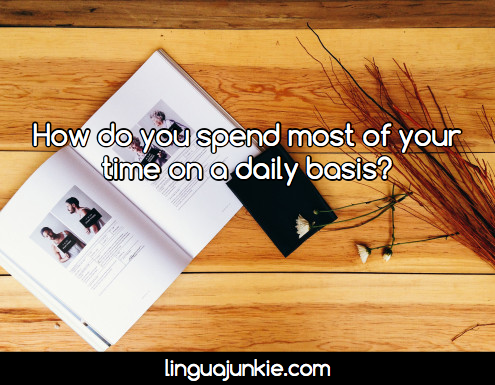 How do you spend most of your time on a daily basis? You read a textbook for 1 hour a day, 5 days a week. 5 hours a week. You spend 10 minutes practicing speaking daily. 50 minutes a week. Results: Because you spend more time on reading than speaking, your reading is actually better than your speaking. And your speaking skills? Well… it’s a work in progress. Not quite there yet… for the past 5 months. My friend does 30 pushups on one day out of the week. Just on Sunday. He says it’s better than doing nothing. That takes him maybe 3 minutes if not less. There are 10,080 minutes in a week. 3 of those minutes go to 30 pushups. 10,077 minutes go to sleeping, eating, walking, sitting at a desk, staring at a computer and maybe standing sometimes. Basically activities that will reverse all of his progress and cover it with an extra layer of fat. 10,077 minutes heavily outweigh the results of the pushups he did in 3 minutes. 10,077 will heavily dictate how his fitness “results” go. In other words, the majority of the time spent will absolutely wipe away any results he made and pile over it ten-fold with extra layers of cake, fat, lard, oil and candy. It’s pushing a boulder up a hill. Except it’s heavier than you. And you’re taking 1 step forward, 10 steps back. And how much of that actually goes into your goal of language learning? 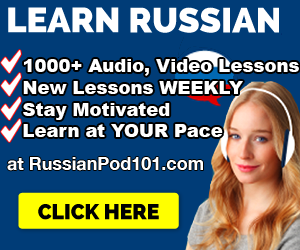 If you want to break the ceiling of being a beginner or an intermediate speaker that’s just “so-so” and you wish to master your language… it’s time to add more time and effort. Time & effort will take you from a language beginner to advanced. The Slight Edge principle,,,making time work with you or against you.. very good article!